Photos provided by George Payne. 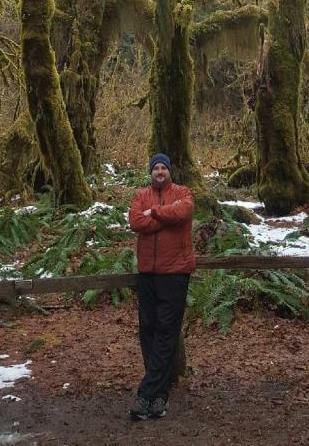 George Cassidy Payne recently returned from a four day trip to Olympic National Park and Seattle, Washington. 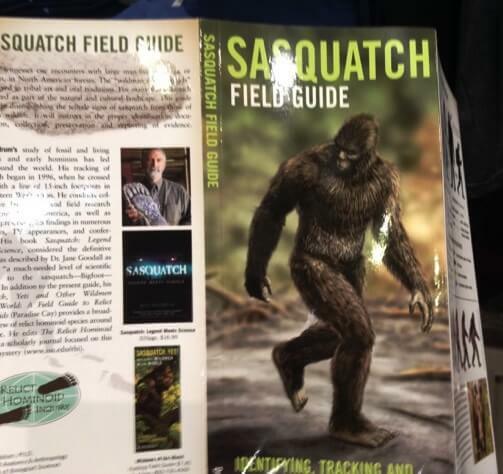 The first thing to understand about the Sasquatch mystery is that it extends across the globe. No region or tribe can claim it as their own. 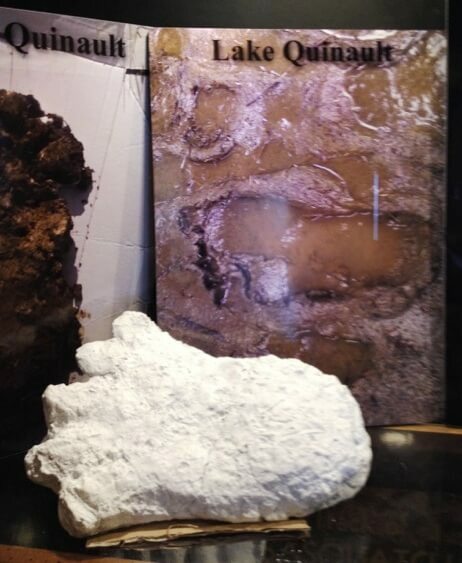 The Coast Salish and Halkomelem tribes of the Pacific Northwest called this creature by the name Sasquatch, or Sasq’ets, Sacsquec, and Sesquac. 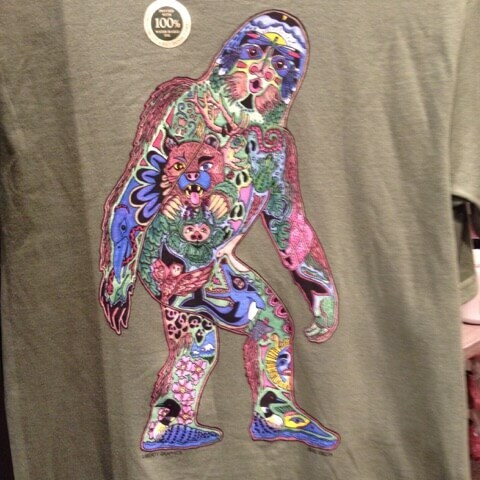 Whatever name they used, they meant a Bigfoot, a forest spirit who possessed amazing powers. In their estimation, it is a generally benign supernatural creature in the shape of a very large, hairy wild man. Recently on my short trip to the Olympic National Park, I had the good fortune to stop in the famous Quinault Lodge in the Quinault Rain Forest region of western Washington. Until I arrived in this unique area, I had no idea that it was a hotbed for Bigfoot sightings and research. 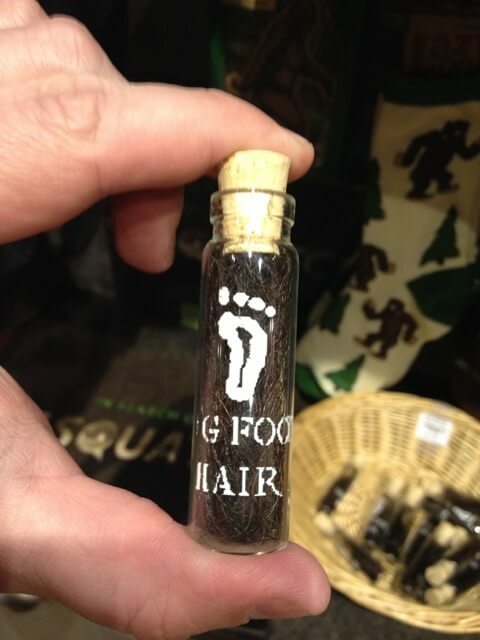 I was impressed to see that the lodge had a whole section in their gift shop dedicated to Sasquatch novelty items such as magnets, bookmarks, coffee mugs, and t-shirts. 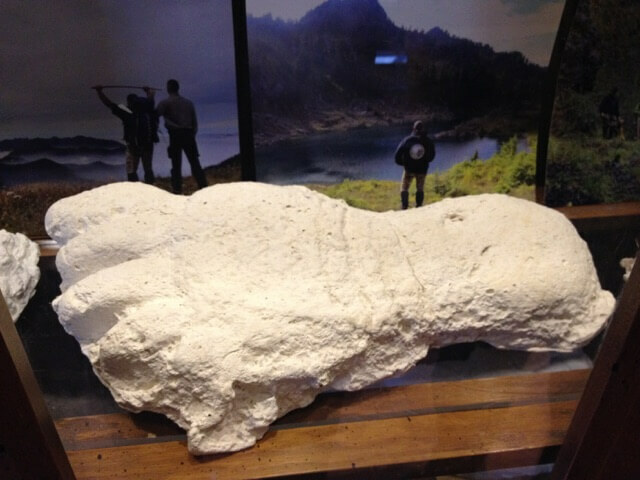 The lobby even had a glass case with plaster casts supposedly created by Bigfoot. Whether this creature exists or not, it is very much alive in the imagination of the people who live and work in this part of the world. Its story has been around for more than 12,000 years. Maybe the oldest myth in American history. Of course, no specimen has ever been captured or reviewed by the scientific community. By a great leap of faith, we are expected to believe that this creature has continued to allude all efforts at apprehension, captivity, death and recovery of remains. Is this a sign of its magical powers? Or could it be simple proof that it does not exist in reality? But how will we ever know for certain that this creature is not out there? Isn’t that how it has survived for so long? The not knowing keeps it going. No matter what the facts are, I am fascinated by the longevity of this myth. The Salish were seeing something in the forest. People all over the world claim to have encounters with Bigfoot every day. Some scientists who are not afraid of the subject have said that close to 4,000 Bigfoot may be surviving in the far northern territories of our planet today. What can we believe? How do beliefs come into being and how do they die? I find it very interesting how society determines who owns the rights to certain beliefs and myths. I mean, who owns the rights to Bigfoot? Is it the Salish? Is it the people who believe in the existence of this animal? 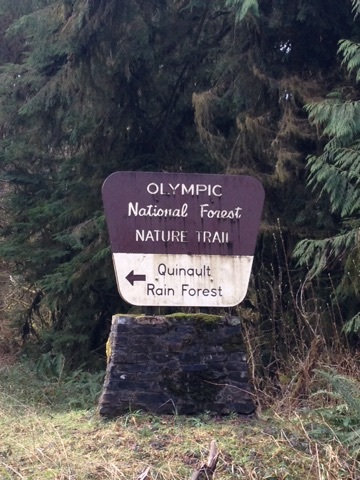 Is it the townspeople of Quinault? Is it the federal government? Is it the scientific community? Is it the forests and mountains? Is it no one? The myth of Bigfoot persists because no one will ever be able to disprove it. It is a story that has become more useful than any denunciation could ever be.